After fishing Jordan Lake (the last of six man made impoundments on the Coosa River System), for over 30 years, I can still say, “an angler has as good of a chance at hooking into a trophy sized spotted bass here on this 18 mile long lake, as when fishing any other lake in Alabama. 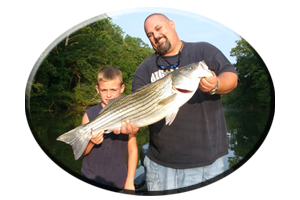 Landing one of these trophy sized Coosa River breed of spotted bass is another obstacle anglers just have to overcome, for all of Jordan Lakes trophy sized bass will give up a fight to the finish. Sometimes they win. Even Alabama’s Smith Lake, that has given up several spotted bass world record “spots” can’t compare. One reason being, they are easier to fool into biting on Jordan Lake. 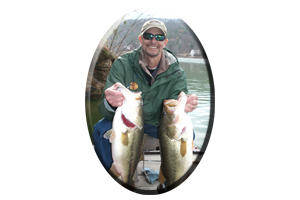 These Coosa River breed of spotted bass do not have to go as deep as Smith Lake bass, to locate food or preferred depths, with most of Jordan Lake’s spotted bass known to inhibit water depths less than 30 feet deep. Although some really big, spotted bass have been taken in deeper water on Jordan lakes lower end with 50 foot depths more evident. Even Jordan Lakes headwaters, situated in a deep, rocky boulder-strewn valley, only shows water depths of 10-20 feet. When near the Lakes headwaters you may see deep holes or old, deeper original Coosa River Channel drops, about 2 miles downstream of upper reservoir, Mitchell Lake dam. So why do I keep telling anglers year after year, season after season, and week after week on guided trips that Jordan Lake is the place to be when searching for these really big, Trophy sized Coosa River spotted bass? Because I’ve been there and done that. 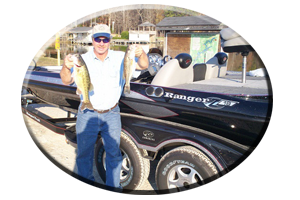 I’ve seen hundreds of spotted bass exceeding 5 pounds, many of which were weighed in all kinds of bass tournaments all throughout this 6 Lakes / Coosa River System. That’s over 25 years of tournament fishing, 30 years of guiding on this lake and other Alabama Lakes and still, from just exploring Jordan lake in every season, I can still say its the best. My personal best is a 6 pound spotted bass. But I’ve netted 4 between 6- 7 pounds and seen 8 pounders! Like a good pair of eyes, when you land one of these trophy bass, the memory will stay with you for a lifetime. Its a very hard fighting bass. 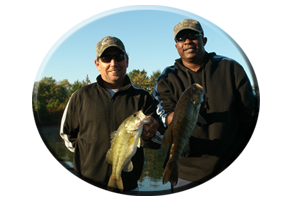 Spotted bass not only hit your lure with a vengeance, but as you bring a hooked spot to the boat the lunging pulls it creates, one after another, are very distinct. If your hooks are sharp and they hold its good. But hooks can be bent, straightened out, broken, or easily shaken loose if not sharp enough, or if an old hook displays a broken point or missing barb. Its called paying attention to detail. Of which there are even more details that require your attention as well. Details such as the knot between you and these tackle-testing bass. Another often easily broken obstacle for these bass to overcome. Tie a good snug knot. Check it for line nicks usually overlooked and found close to the knot or up the line. Any weakness, like the short tagged end of the line, cannot be overlooked. If it does not look right cut and retie. At times even a sharp spilt ring on today’s lure can cut your monofilament line or a bad ceramic eye in your rod. One mistake, even professional bass tournament anglers make, is not re-tying enough, which can be a costly mistake. Knots are weakened from constant casting, retrieving hung lures from snags, or your line or knot can get up against one of today’s very sharp treble hooks, damaging it as well. 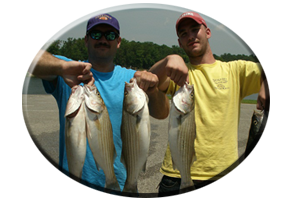 Want to learn more about fishing for bass on Jordan Lake this winter? Or learning to fish any Alabama Lake year round? Always call on Reeds Guide Service…first!